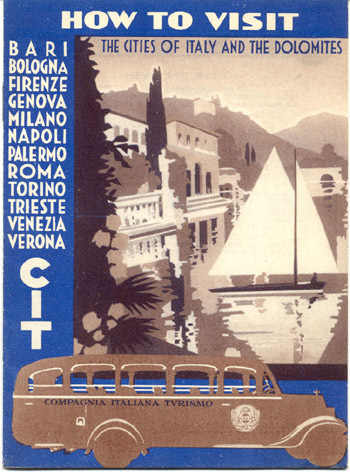 Travel brochure "How to Visit the Cities of Italy and the Dolomites," circa 1933, published by the CIT. Signed "Stab. L. Salomone - Roma."